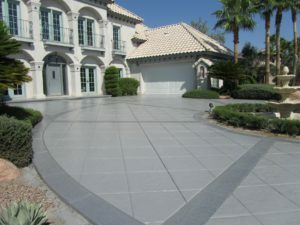 Every decorative overlay will eventually fade and peal over time do to the harsh environment, ultimately requiring a re-color and/or re-seal. Many contractors use a variety of different products, but here at New Crete we only use high grade industrial strength products that last much longer. For instance, we use a high grade polyurethane sealer that stays shiny and beautiful for up to 3 to 4 years vs. the conventional acrylic sealer that typically only last 2 years. We also engineered our own proprietary epoxy acrylic hybrid stain with much greater UV protectant keeping that rich, vibrant color from fading much longer than the traditional acid stains. Since we manufacture many of our own proprietary products we are able to offer these superior installations at an affordable price. Another key point to keep in mind when considering a re-color & re-seal is to make sure the contractor is including the proper preparation process before the new material is applied. 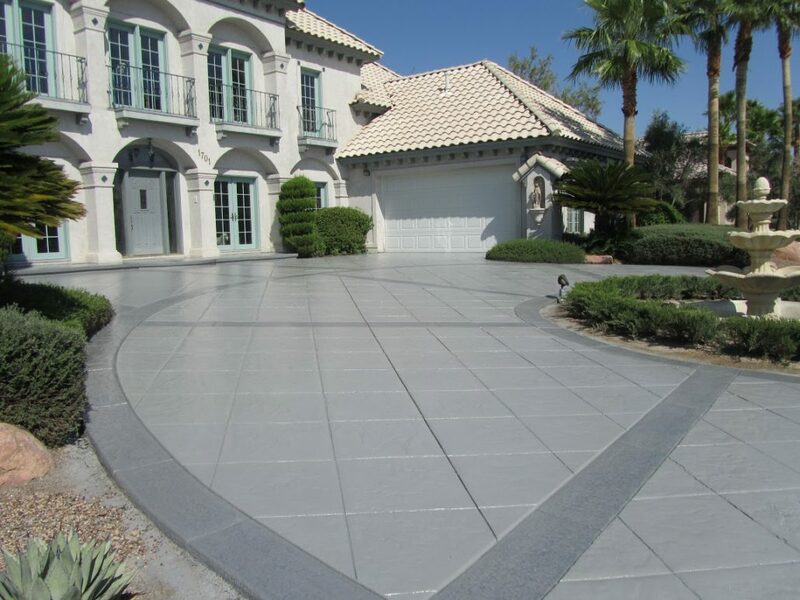 There are many short cuts that can be taken that the homeowner would never know about until a few months to a year later when the surface is failing again. Call to schedule a free consultation and quote to bring your existing decorative overlay back to life. This is an excellent company!!! I usually don't write reviews, but this company was exceptional. I own a home with a large amount of colored concrete that was stamped with a pattern. I have it on the driveway, front walkway and courtyard patio. I have had the home for 14 years and before I found this company, I had to have all of it resealed every two years. Each time I hired a different company who would promise me a much longer time before it would need resealing and each time it would fail in under two years. At about two years, it would look so bad that the Home Owner's Association would send me a letter to have it fixed. Prior to Creative Coatings, each company would blame the last company for not preparing the surface properly, using too much product or using too cheap a product. Often, the color had to be restained at additional cost because despite my best efforts, the protective sealant had so significantly failed. I was so frustrated that I wanted to jackhammer out the concrete and replace it with pavers. It was costing a huge amount of money and I deeply regretted installing colored stamped concrete. 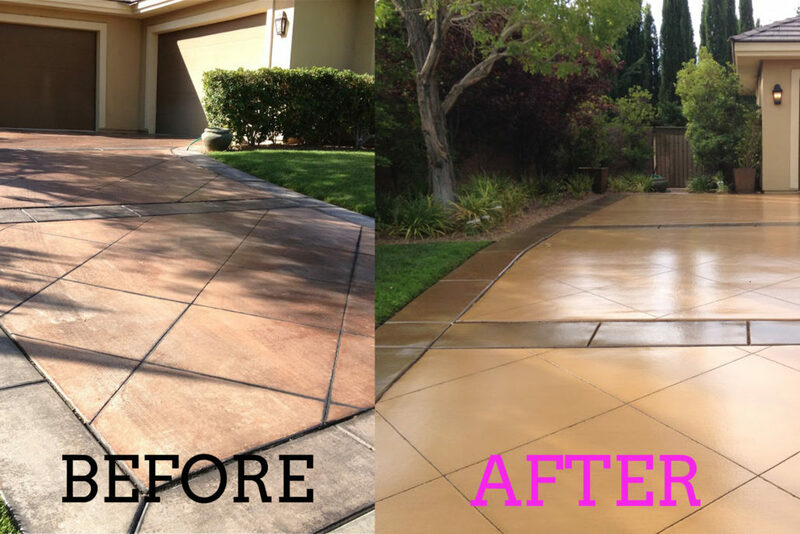 I started asking neighbors with similar colored concrete if they had found a better solution and two of them sent me to Creative Coatings. I called and Marty came out and explained that they really could get more than two years. I had heard that before and was really skeptical. He then spent much more time showing me the differences in products and materials. He recommended urethane instead acrylic even though it cost more and required additional surface prep time. He gave me references of similar jobs and also assured me that the urethane was worth the additional cost. He said it was the similar to the urethane coating in my garage that was excellent. I decided to follow his advice but if it did not work, this would be the last time before I switch to pavers. Well, I am so happy to report that Mary's advice was completely correct. It has been over two years and for the first time it still looks like the day it was installed. So far, the urethane was completely worth the additional cost. Also, I was very impressed with the crew that did the work and their attention to detail. They really want to make sure your satisfied with the outcome and I am. I now have one of the best looking driveways around. It looks wet with deep colors and is not overly shiny or slippery when actually wet. I am very impressed with this company and their work and I strongly recommend them.